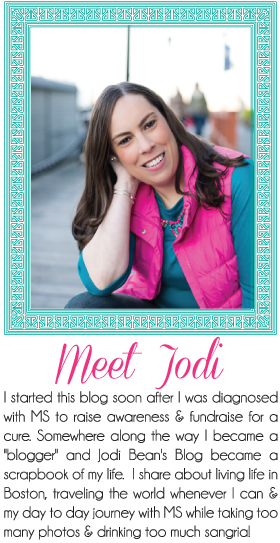 Jodi Bean's Blog: Five Things. . . I FINALLY got my laptop back this week after 2 weeks without it! It is all fixed ($80 bucks later). I was seriously going crazy without it. I have SO much blogging to catch up on! Desktop photo is one of my favorites taken by The Pioneer Woman. This week is MS Awareness Week. The Bean Team raises awareness about MS all year long. Coming up in April we are participating in the Boston Walk and MuckFest MS. Then in September we will be walking 50 miles on Cape Cod for the MS Challenge Walk. Let me know if you are interested in joining The Bean Team for any of these events. If you would like to make a donation to my fundraising please do so here! 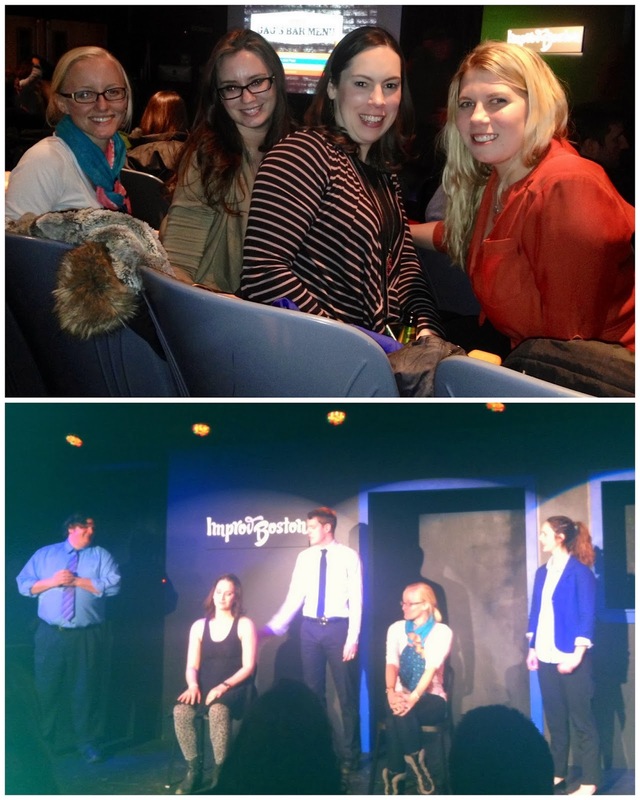 Friday night I went to Improv Boston in Cambridge with Kate, Emily and Allena. It was our first time meeting Allena and she is such a fun girl. She even volunteered to go up on stage during the show. Read Kate's post today for more about the show. She talks about my favorite skit which about a girl who is ok because she "doesn't collect porcelain dolls." She then sang a song about all the reasons she was ok. My favorite line was "I could run a marathon. . . or go to brunch during the marathon." I know if is not going to sound funny out of context but take my word for it. . . it was hilarious!!!! 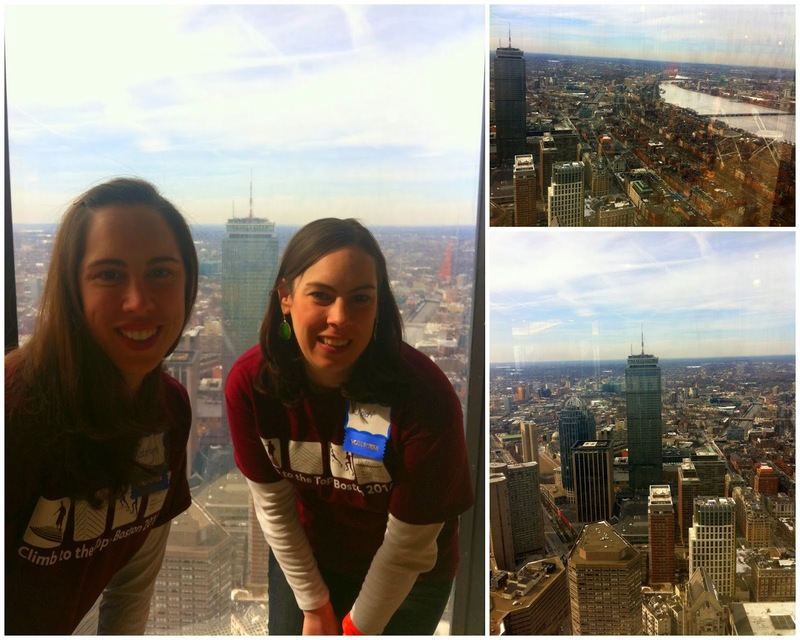 On Saturday, Katelyn and I volunteered at Climb to the Top at the John Hancock Tower. It is one of the few MS events that The Bean Team doesn't participate in so we figured we should volunteer! Ha! It was our second year volunteering and we had a lot of fun (despite having to be there at 6 AM). Oh and we took a quick ride up the elevator to the top to check out the view. You won't see me climbing those stairs anytime soon! The event had over 500 climbers including many firefighters and children. There was even a 5 year old who did it! Stacy and I finally booked our Italy flights this weekend. I can't believe that I'm actually going to see this in person. Have you ever seen anything more beautiful!? We will fly into Florence for a quick visit and then head to Cinque Terre for the majority of our trip. We will end up in Venice and fly home from there. We are working with a travel agent for booking hotels and trains. We got the quote and were SO excited b/c the hotels they chose were GORGEOUS. The quote was $1400 for 9 nights and train tickets. Pretty good right? We thought so until we realized it was $1400 EACH. Gasp! That is steep. So back to the drawing board. I guess I needed to be more specific when I requested "affordable" hotels. I hope they can come back with something A LOT cheaper! May will not get here soon enough. I can't wait!!!!!!! That's all for now. I hope to find time to blog several times this week. But we all know I've said that before. . . I also hope to find time to read AND COMMENT on your blogs. I'm so sorry I've been MIA. I promise I'm reading (on my phone) and it is really hard to comment from my phone. Linking up for Monday Morning Gossip (a little late)! Yay for Italy trip! My parents are going next month and I'm so jealous. You'll have a blast! I keep meaning to go to Improv Boston but it never works out. They have a climb to the top here in Philly. A few of my friends have done it before (I couldnt do it if I tried!). Glad to hear your laptop is back, did anything ever come of your phone? Is it still burried under feet of snow? Glad you finally got it back and $80 isn't bad. Brunch during the marathon sounds more enjoyable. The view from the top is amazing! 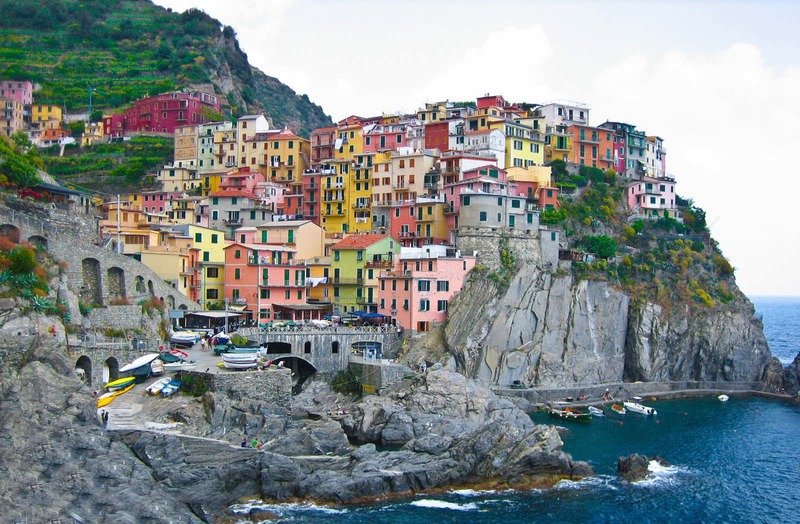 So jealous you are headed to Italy in May, it is on my bucket list. So beautiful. Woo hoo!! I finally get around to commenting! I'll join Kate for the marathon-time brunch. Running isn't really my thing. Yay for blog buddies!! It was so great to meet you! 5 Reason MS is Annoying!